These days everyone's crazy about digital files. 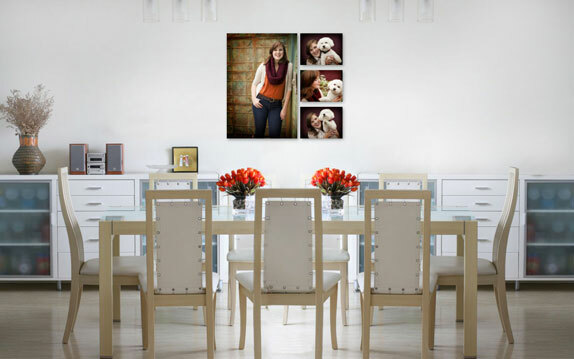 We know there is magic in sharing high school senior pictures through the virtual world but we also know the impact of having the right photos displayed - in the perfect way - can have in your home. Through our innovative ordering system we can show you how a single photo or a group of 'em will look on our 'magazine' walls or your 'actual' walls (just email us some snapshots) and we can show off our display ideas in the most realistic light imaginable. How cool is that? Cash/Checks/Visa & MC cards accepted. Financing Available. Or contact us to schedule your complimentary portrait planning and reserve your session then. Senior session and starting package, in our studio. Package includes a 30 minute, in studio or telephone planning appt, an 80 minute session, 4 printed photos, 3 social media images from three favorite poses and 1 unique yearbook photo. Available on weekdays or Saturday, based on studio availability. Yearbook ONLY senior mini session and package for a weekday date in our studio. Package includes a telephone consultation, a 20 minute weekday session with 1 background and from a single favorite pose you'll receive 1 printed photograph (8 x 10 or smaller, a social media image and 1 yearbook photo. No further promotions on this package, including auction gift certificates.